Create the perfect finishing touch to the next childrens’ party at your place using these cute and colourful fruity cupcake toppers. Use on cupcakes or as food picks for a variety of food items. 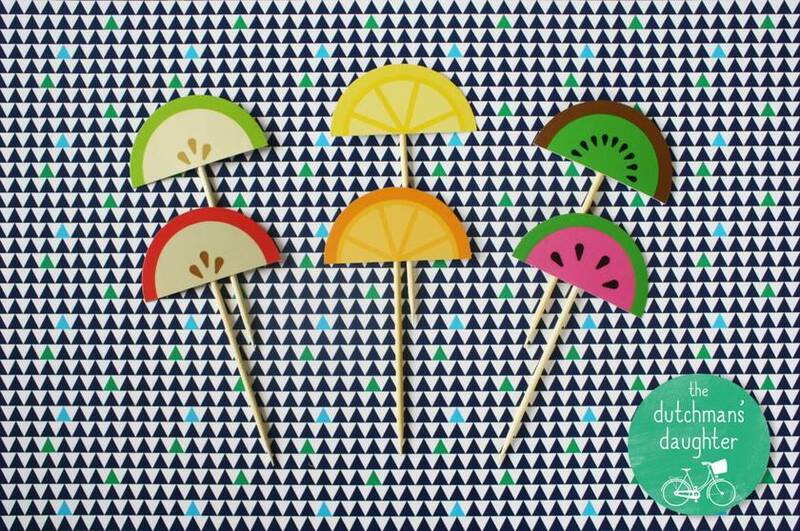 Great for decorating at garden parties, barbecues and picnics this summer! – Secured to standard half-size bamboo skewer (more than long enough to accommodate cupcakes with LOTS of icing!). See my Felt shop for Rainbow, Toadstool or Watermelon cupcake toppers too!